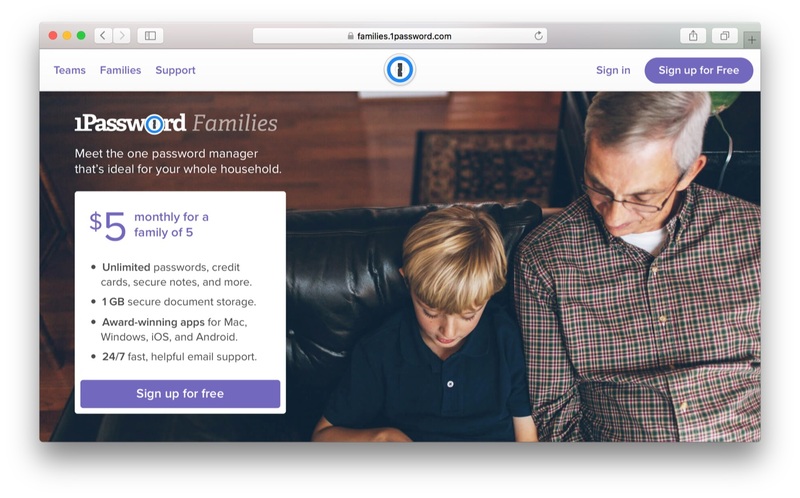 AgileBits、月額5ドルで利用できる家族用アカウント共有サービス「1Password for Families」を発表。 | AAPL Ch. 1Password for Families builds on our new Teams infrastructure to give you everything you need to protect your loved ones. And it’s only $5 a month for your family of 5.